The Forest of Dean & Wye Valley has some amazing glamping & campsites that are perfect for families and groups visiting the area. We are truly spoilt for choice, here are our favourites! 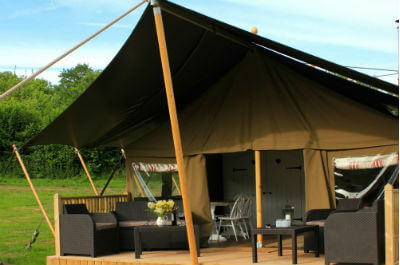 Near Ross on Wye a boutique luxury glamping site in the Wye Valley. Vintage caravans each have their own personality and are packed full of original features, lovely vintage fabrics and crockery. Ideal venue for parties, events, family, friends and groups such as hens as it is small enough to have the run of the glampsite! Caravans are nestled in a wildflower meadow near enough to be able to visit each other but carefully and discreetly placed to make each van it's own private haven. Sacha and Jo have created a very unique and special glamping experience that is thoroughly relaxing and secluded but still being close to all the action the Forest of Dean & Wye Valley offers! 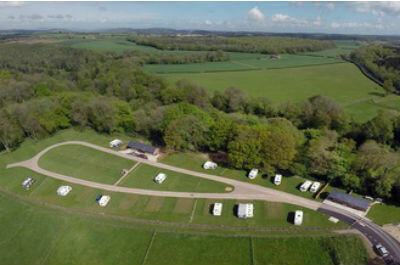 Forest and Wye Valley Camping is situated between the rugged beauty of The Forest of Dean and the picturesque Wye Valley near St. Briavels. This family run caravan and camping site offers fantastic purpose built facilities along with a cafe that provides amazing breakfasts and take away nights. Jo and Jess who own and manage this campsite really do go above and beyond to make their guests stay here five star! An excellent base for family groups and is located about 20 minutes drive from Monmouth. Hidden Valley Yurts near Llanishen is a glamping site that contains 5 Mongolian yurts (3 for 7 people and 2 for 5 people) stretched along the top of a beautiful, south-facing meadow alongside a stream. Step through one of the brightly coloured doors of these innovative homes and you’ll find they are light and cosy. You can expect a warm welcome from Mike and his team and an amazing secluded site in a valley that is perfect for spending quality time with children. 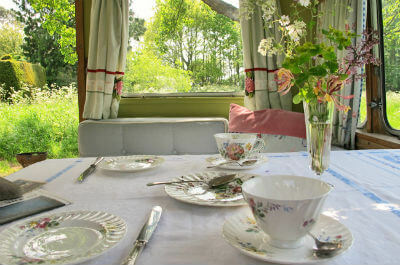 Hens also love this glamp site - we can definitely see why having spent a glorious weekend there! 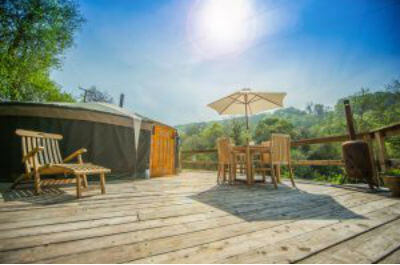 Seven Hills Hideaway is a luxury tented glamping site with safari style tents for a luxury experience. These are gorgeous and unique to the area but this isn’t any old camp site. Your tent comes with a cosy log burner, fully equipped kitchen, three double bedrooms (sleeping 6), large verandah and your very own private hot tub… perfect for ‘sundowners’ with a view of Skirrid mountain. Francesca is great and will ensure you have everything you could possibly need camping! Seven Hills is about a 20 minute drive from Monmouth and is very close to where we run our Gorge Scrambling Experience near Abergavenny.